Why and how a deep and conscious understanding of data can take travel and hospitality firms to the next level. On many aspects, I am offering a better product and value for my customers, but I am not seeing any increase in results. How can I stand out from my competitors? Where does a competitive advantage lie for me in today's’ aggressive business marketplace? To tackle this reframed question, most of my colleagues would agree that building a competitive advantage would focus on creating unmatched customer value or, in other words, being entirely committed towards satisfying (and anticipating) travelers’ needs and wants in your value proposition. On many levels, this answer appears trivial: how can this total commitment to customer satisfaction be tangibly grounded into day-to-day business operations? This is where data comes into play. A hotelier’s job has radically changed over the last few decades. 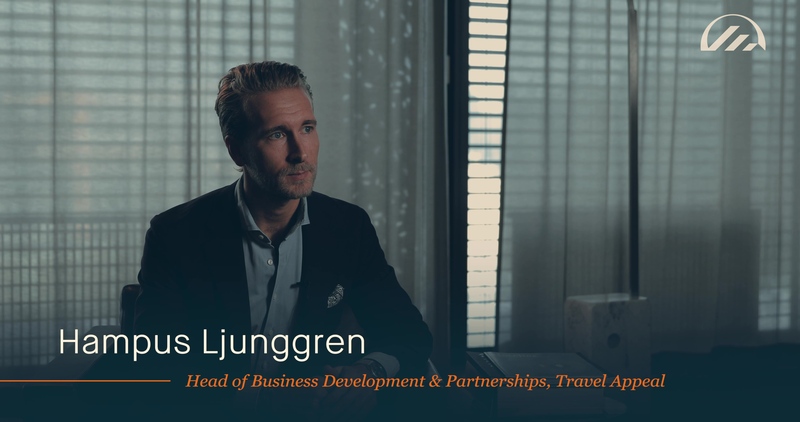 Towards the end of the 90s - thanks to the integration of the internet and the rise of direct bookings and online travel agencies – the hotel sector went through a disintermediation opportunity. Over the next decade, we saw the rise of social media, where guests started to comment and review their travel experience on public platforms, disrupting more and more the relationship with travel providers. Lastly, in recent years we have witnessed the non-stop growth of ubiquitous technologies, empowering travelers on the move. All these evolutions have resulted in growing numbers of travel and hospitality industry professionals working with digital technology in-house. Nowadays, even small independent hotels have ‘someone who takes care of the web’. However, as the amount of travelers’ data is skyrocketing due to digitized customer journeys, the extent to which it is efficiently used by operators varies greatly and, often, falls short. Internal or proprietary data – guests’ transactions and preferences from loyalty programs for example – continues to be tapped into mostly for revenue management purposes; external data – user reviews, bookings and comparison behaviors etc…- is typically monitored for reputation management. Nowadays, generating a proper understanding of data – and connecting all data sources effectively – is paramount in generating a competitive advantage, providing superior customer value and ultimately orientating the future of any business. Businesses which generate enormous amounts of data should not only leverage it to understand their current performance (i.e. business intelligence) but also – and most importantly – to generate prescriptive analytics to orientate their strategy. Data science, which may at first seem overly ‘techy’ and ‘expensive’ is actually quite feasible. Let’s explore three areas where a deep and conscious understanding of data could take travel and hospitality firms to the next level. Travel and hospitality industry professionals around the world are perfectly aware of their competitors’ moves at a local, national, and international level. In a very competitive marketplace, constantly monitoring and understanding competitors’ offers and strategies is critical and is a very common practice. But data is providing an additional layer: the differential guest value, or in a nutshell: what is the current offer of your business? How can it be positioned with respect to competitors? How can you ultimately differentiate your service from direct competitors? In Switzerland alone, hotelleriesuisse estimates that more than 90% of accommodations are privately owned and operated. This means that there is a great focus on superior customer value. Data (internal and external) allows hoteliers, for the first time ever, to base their choices on real insights rather than on rumors and feelings. Insights about how managers interact at different touchpoints during the customer journey (owned media, earned media and paid media) can also help fine tuning the way hoteliers position their products on the market. Marketing is one of the most evident ways travel and hospitality industry professionals can use data. If using data to improve the competitive advantage of a business will impact an organizations' identity and core values, establishing constant communication streams and engagement with guests throughout their customer journey will not impact your marketing strategy, but will make the whole practice evolve towards integration with day-to-day operations. Hoteliers can surely start by focusing on mapping their visibility efforts along key touchpoints of the customer journey to maximize engagement with the customer. But data and technology can enable an even deeper experience by activating these touchpoints before a guest sets foot in a property to provide a truly personalized journey. When guests’ preferences and behaviors are tracked and/or recorded, they can be cascaded to the manager, then distributed to the room divisions and so on. An organization which can gather data around the above-mentioned digital elements (i.e. competitive environment, differential guest value, customer journey) will then be able to transfer that knowledge into the in-room experience. This is the basis for a smart hotel, where data (together with technological infrastructure) is used for the day-to-day, personalized delivery of guests’ value. This is only a partial synopsis of the possible strategic uses of data science. However, the main message holds true: do not be afraid of data. Data is everywhere and can enhance the competitiveness of your business. Data can also support product development, marketing and operations while also aiding in the transformation towards “smart” businesses. This is true for any single professional within the travel-value chain, from hotelier and destination manager to service provider. As part of their Digital Marketing elective course, final year students from Ecole hôtelière de Lausanne had the opportunity to collaborate on a hands-on data project with hospitality data analytics firm Travel Appeal. Using the Travel Appeal platform, millions of data points containing contents, reviews, trends and competitor information from Montreux were analyzed over a one-year period. Montreux is doing incredibly well at attracting people. With a gain of 11,000 online reviews in 2018 across all types of hospitality properties (and an astonishing 150% growth rates in restaurant reviews), more reviews means more customers. As is often the case, people become vocal about shifts in prices during big events. Including strategies to manage expectations (or bad reviews) during a peak of activity, can go a long way. The Montreux Jazz Festival is gaining traction, with some spillover effect on the overall destination. Inversini, A., Fesenmaier, D. Xiang, Z. (2015). Communication Technologies in Tourism. In Cantoni L., Danowski J. A. (Eds.) Communication and Technology. 5th Volume of the Handbook of Communication Science (pp. 495-509). De Gruyter Mouton, Berlin. Buhalis, D. and Inversini, A. (2014) Tourism Branding, Identity, Reputation, and Word of Mouth in the Age of Social Media. In M. M. Mariani, R. Baggio, R. Buhalis & C. Longhi (eds.). Tourism Management, Marketing and Development: The Importance of Networks and ICTs. pp. 15-40. New York: Palgrave McMillan. Bhattacharjee,D., Seeley, J. and Seitzman, N. (2017) Advanced analytics in hospitality. Digital McKinsey. Retrieved on 01/02/2019. Alessandro Inversini is an Associate Professor of Marketing and Digital Marketing at Ecole hôtelière de Lausanne. He is expert in marketing communication, digital communication and digital marketing with extensive academic and industry experience. Alessandro holds a PhD in Communication Science from the Università della Svizzera italiana (2010).